A series of international accords, concluded in Zurich and London in 1959 and 1960, brought the Republic of Cyprus (RoC) into existence. The Republic was conceived as a bi-communal state where power would be shared between its two constituent communities: the Greek-Cypriots and the Turkish-Cypriots. In its very infancy, the newly-founded state was not the beloved child of its Greek Cypriot and Turkish Cypriot inhabitants. It rather emerged as the accidental offspring of violent conflicts that unfolded amid 1950s among the Greeks, the British (who had been ruling the island from 1878) and the Turks. The multiple checks and balances, entailed within these accords, inhibited the functional operation of the Constitution. The amendments submitted by the President Archbishop Makarios III in 1963 encountered the Turkish and Turkish-Cypriot vetoes. This resulted in a constitutional deadlock, which was accompanied by violent clashes between the two communities. British troops intervened establishing the buffer zone, marked by a 'green line' between the two camps, paving, thus, the way for the UN peacekeeping mission in 1964. The continuous frictions between the contending parties urged the UN mediation in order to restore situation back to normality. To this effect, the then Secretary General (SG), offered his “good offices” -an old diplomatic institution facilitating discussions and/or negotiations between the disputants. The political developments in Greece -the establishment of the military regime in 1967- and the inter-communal tensions in November 1967 (bombing of villages and forces by both sides) brought the talks to the breaking point. In May 1968 the dialogue was resumed again and negotiations, which had taken place for almost six years, were terminated in the summer of 1974. A coup d’état attempt against Macharios III, engineered –among others- by the then Greek military dictatorship, was followed by the Turkish military invasion, which altered the demographic structure of the RoC and resulted in a massive social dislocation of both Greek and Turkish Cypriots. Turkish forces have occupied 37% of the island and since then have kept around 35,000 troops on it, justifying their military intervention upon security considerations. In the light of these events, the Security Council (SC) passed Resolution 353 (20.7.1974) calling for a ceasefire, an immediate termination of the foreign military intervention and the withdrawal of all the forces except for those, whose presence was authorized by the accords. Since 1974 onwards, the SC has passed several resolutions calling unsuccessfully Turkey to respect the sovereignty, the territorial integrity and the independence of the RoC. In the aftermath of this division on the island, the parallel administration, which the Turkish Cypriots had been running in the decade 1964-1974 evolved to a self-governing status in the north. SG Waldheim re-launched the framework of good offices in order to overcome the impasse. The communal talks between Makarios and Denktash concluded to an agreement as to the basic parameters of a future solution: a bi-communal bi-zonal federation. The idea of a bi-zonal bi-communal federation has been generally accepted as the blueprint for a solution since 1977. Nonetheless, the successive leaders have not been sharing a common view upon the legal and political consequences that this notion implies. In 1983, the Turkish Cypriots, under the leadership of Rauf Denktas and the aegis of Turkey, declared their independence. The SC condemned this action through Resolution 541 (1983), stating that this declaration had no legal grounds and should be withdrawn. However, this resolution, the previous alike, has not been echoed by both Turkey and the Turkish Cypriots. 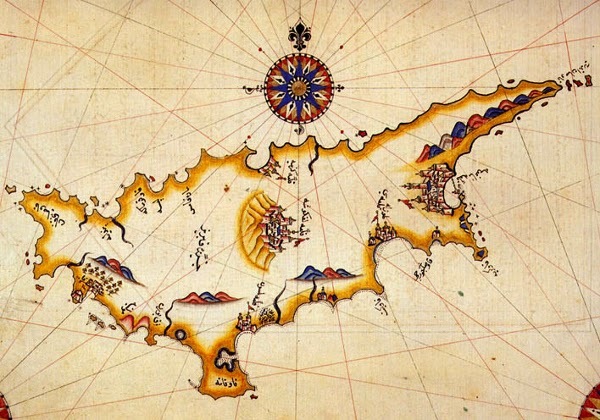 Thus, the island remains de facto divided: on the southern side, the RoC–whose sovereignty on the whole island has being recognized by all members-states of the UN, except for Turkey- and the northern side, ruled by the Turkish Cypriots, whose entity has not been legally recognized by any UN member state, except for Turkey. Despite the innumerable UN mediations from 1964 onwards, the efforts of the international community in bringing about a solution have proved ineffectual. More specifically, in 2004 the UN sponsored Annan Plan was rejected after having been put to referendum. In the aftermath, the negotiations conducted between the Presidents of the Republic of Cyprus, Christofias (2008-2013) and Anastasiades (2013-present) on the one side and the Turkish Cypriot leaders Talat (2005-2010) and Eroglu (2010-2015) on the other led to the drafting of common positions or joint declarations but so far no evident progress is to be noted. In contrast, the recent discovery of gas reserves, initially portrayed as a potential peace catalyst, have added chill to the current impasse, with Anastasides pulling out the (already problematic) talks with Eroglu, due to the Turkish encroachment of the exclusive economic zone (EEZ) of the RoC. It is to be seen whether the outcome of recent elections in the northern part of the island could break the current deadlock. *Vasileios P. Karakasis, born in Athens, is a PhD Candidate at the University of Leiden and Research Associate and Course Coordinator at Sen Foundation of Research and Education in International Cooperation. The dissertation he is working on relates to the agenda setting of the disputants in the Cyprus Conflict. He has received his MSc in Public Administration (Track: Crisis and Security Management) at the University of Leiden, his MA in International Relations (Track: Turkish-Greek Relations) at Bilgi University in Turkey and his BA in Political Science and Public Administration at the National Kapodistrian University of Athens. Vasileios runs a project on the Cyprus Conflict at the newly founded think-tank in Greece, Bridging Europe.